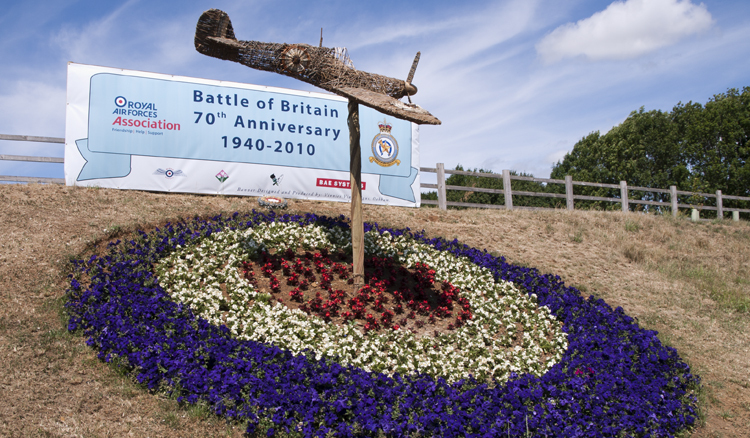 These aircraft appeared on the A606 in Rutland to commemorate the Battle of Britain. I used the healing brush set to content-aware fill to remove the supporting strut and ground. It did the heavy lifting but left a faint outline. I then used the Clone Stamp Tool set to a soft brush to clean up the outlines. Fortunately clouds are very easy to heal as you don’t have to worry about blurring your shot. Nice snap, visited other photos posted by you,all are interesting. Thank you. I like to keep it eclectic. 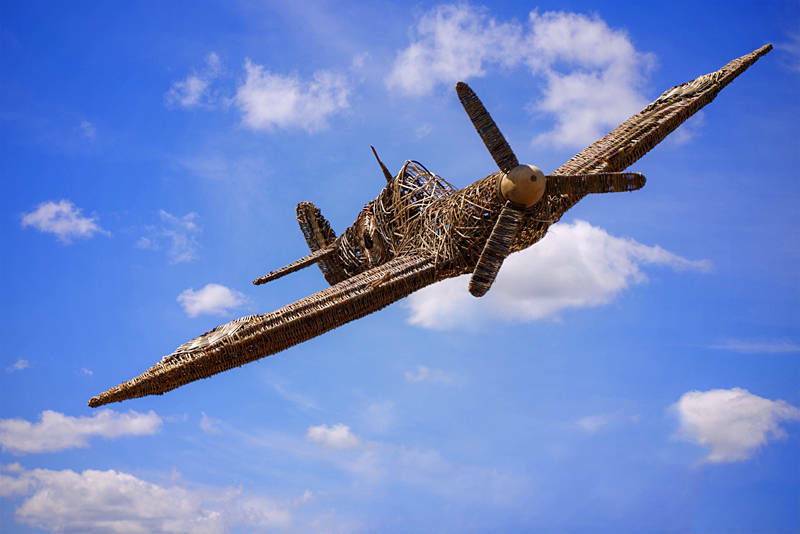 I was wondering how a wicker airplane could fly. Very clever framing!